How to overcome the idea that the movie is not what the book was! So I have guilty pleasures, and some are related to a couple of YA books out there. You see I’m a slow reader, but with the Divergent series, I broke my reading time records (like just a couple of days for each one). I’m not going to talk about if the book is good, if the writing is good, etc. Nope, this post is not about that. It’s just how much readers get their hopes in when they have a visual representation, a movie, of their favorite stories. Because when we read a story, we imagine the characters, the settings, and the whole story in our heads. So when we hear that a movie will be “based” on it, we get excited hoping to find that everything we pictured in our heads as we read the book will be consciously represented on the screen. Why is not always like that? Because we can’t fit all the details in less than 2 hours. And because, movies are different from books. Most movies are there for entertaining purposes or for stimulating our visual senses. We can’t get ten pages of character’s emotional inner struggle in a movie. If you take movies like me, that they exist for entertainment purposes and not for lulling you into sleep, then you get this point. 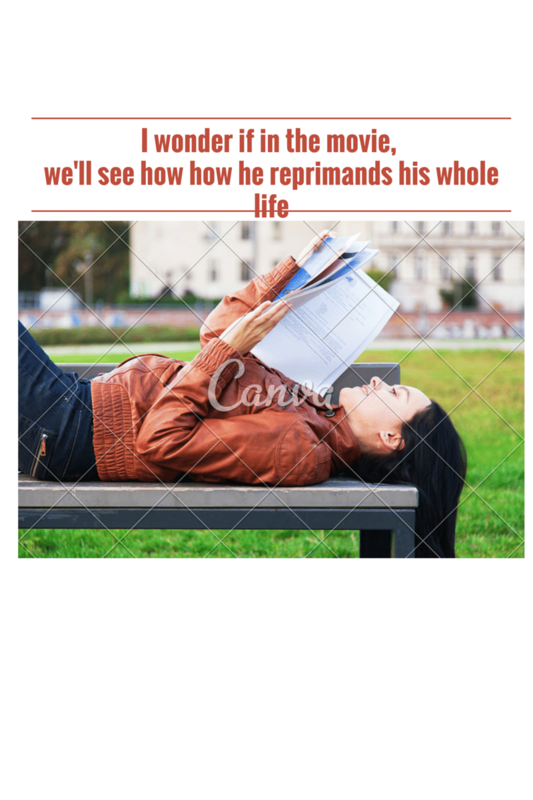 Should we demand movie producers respect the book storyline? No, it’s only “based on”. Film studios have no obligation to remain loyal to the author’s story. And they have their own scriptwriters who know what works best in a movie and what doesn’t. It’s a freaking good movie. If you didn’t read the book, the better for you; you’ll be able to assess the movie entirely from its entertaining potential. If you read it, stop comparing it to the book. The book was a story written by Veronica Roth, and it ends up there, in the papers of the book and if the picture you made up in your mind. The movie is another thing. Was I aware of this perspective when I went to see the movie? Of course not! I was the person who in Divergent nagged my companion all the time telling her: “in the book it was not like that… in the book…. ” Oh, poor her…. It’s one thing to love books and to love the stories and wish we could see the exact visual representations on the big screen, but let’s face it, it’s not going to happen. The magic of books will always remain on their pages and the skills we use to dive into the story. The power we have to imagine those words. That’s the beauty of books. We don’t need to have forced flat representations on screen. Movies are a different type of art, a visual art. Let’s stop trying to match them and keep the books and their wonderful stories to us. And you, do you ever find yourself wishing the movie was exactly the same as the book? Do you easily get disappointed when you find that it’s not what you imagined from the book? Other movies/books that you can think of where you found this difference or rather a quite accurate resemblance between the two? Next The X Files is coming back! Yeah, I agree! Very nice topic to write about. Well done! We don’t find these type of topics everywhere….and these questions remain unanswered forever.